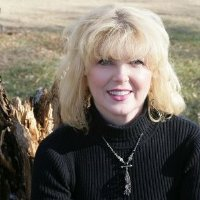 Lori Severson is a management-training consultant who has inspired thousands to pursue success in their organizations. Lori's motivational presentation style brings phenomenal energy and inspires participants to be the best they can be. Her passion for success and management excellence wil inspire, challenge and encourage you to take action toward continuous improvement in yourself and your organization. Speaking from proven knowledge gained as a success in the sales, training, operations and marketing arena, she will leave you with ideas that will remain with you long after her thought provoking sessions end. Lori has also worked with companies like Disney, Jellystone Parks, Camp Snoopy, IBM, TRW, Ho-Chunk Nation, over 200 Manufacturing companies, trade associations and Foundations including acting as the Executive Director for the Gilbert Brown Foundation.